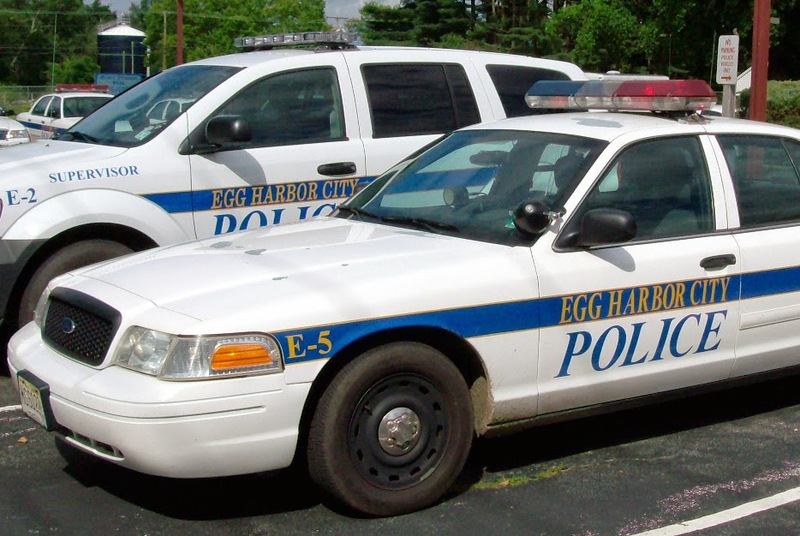 Egg Harbor City Police have released their Police Blotter for the week of January 11, 2015 to February 13, 2015. Arrests consist of contempt of court, DWI, drug charges, and harassment. Jonathan M. Storey, 31, of Mays Landing was arrested by SLEO Joe Akeret for contempt of court on January 14, 2015. Nicole D. Luker, 35, of Galloway was arrested by Sgt. Matt Landicini and SLEO Pat Aiken for contempt of court on January 19, 2015. Jessica L. Santiago, 25, of Egg Harbor City was arrested by Det. Remon Soliman for endangering the welfare of children, possession with intent to distribute heroin, possession with intent to distribute marijuana, possession of heroin, possession of marijuana, employing a juvenile for drugs, CDS on school property, possession of a handgun and possession of a weapon while committing CDS crime on January 20, 2015. A juvenile, 17, of Egg Harbor City was arrested by Det. Remon Soliman for possession with intent to distribute heroin, possession with intent to distribute marijuana, possession of heroin, possession of marijuana, CDS on school property, possession of a handgun and possession of a weapon while committing CDS crime on January 20, 2015. George P. Ramp, Jr., 48, of Egg Harbor City was arrested by Ptl. Dave Aldridge for harassment on January 21, 2015. Andrew J. Hoffman, 25, of Egg Harbor City was arrested by Sgt. Matt Landicini for contempt of court on January 22, 2015. Desiree N. Olmo, 27, of Galloway was arrested by SLEO Joe Akeret for contempt of court on January 23, 2015. Angel L. Garcia, 43, of Egg Harbor City was arrested by SLEO Joe Akeret for contempt of court on January 24, 2015. Michael H. Chew, 31, of Chatsworth was arrested by Ptl. Zach Perna for driving while intoxicated and contempt of court on January 25, 2015. Macklin J. Bridges, 21, of Egg Harbor City was arrested by SLEO Joe Akeret for possession of marijuana on February 1, 2015. Jonathan M. Storey, 31, of Mays Landing was arrested by SLEO Pat Aiken for contempt of court on February 2, 2015. Andre Viruet, 35, of Egg Harbor Township was arrested by Ptl. Brian McKenna for harassment on February 5, 2015. Nelson Javier Figueroa, 19, of Egg Harbor City was arrested by Ptl. Jennifer Hurley for burglary, theft of movable property and possession of burglar tools on February 8, 2015. Walter Lang, III, 28, of Mays Landing was arrested by SLEO Pat Aiken for possession of prescription drugs on February 9, 2015. Lisa L. Kulisek, 51, of Egg Harbor City was arrested by Ptl. Brian McKenna for shoplifting on February 11, 2015. Marcus A. Davis, 23, of Atlantic City was arrested by SLEO Pat Aiken for contempt of court on February 12, 2015. Dan A. Turk, 61, of Marlton was arrested by SLEO Joe Akeret for contempt of court on February 13, 2015.